The 1966 Sears Special version of the Space Capsule differed from the standard version is a couple of ways. 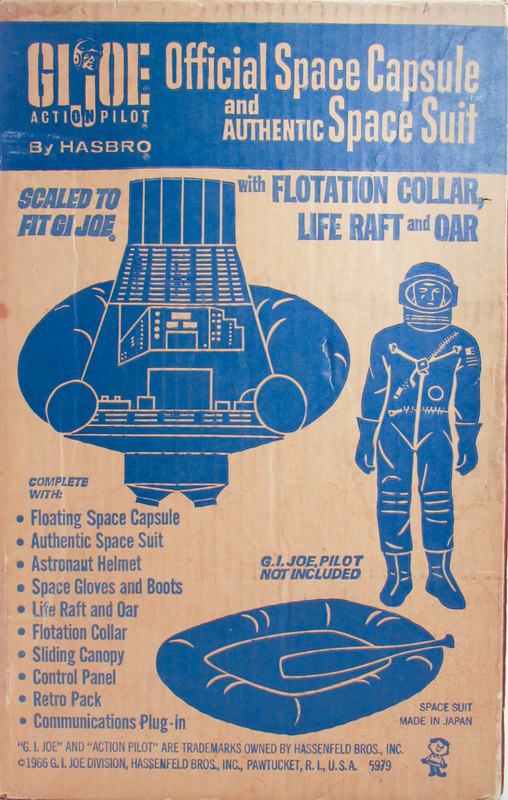 It omitted the 45 rpm record and added a life raft and cool flotation collar for the capsule. 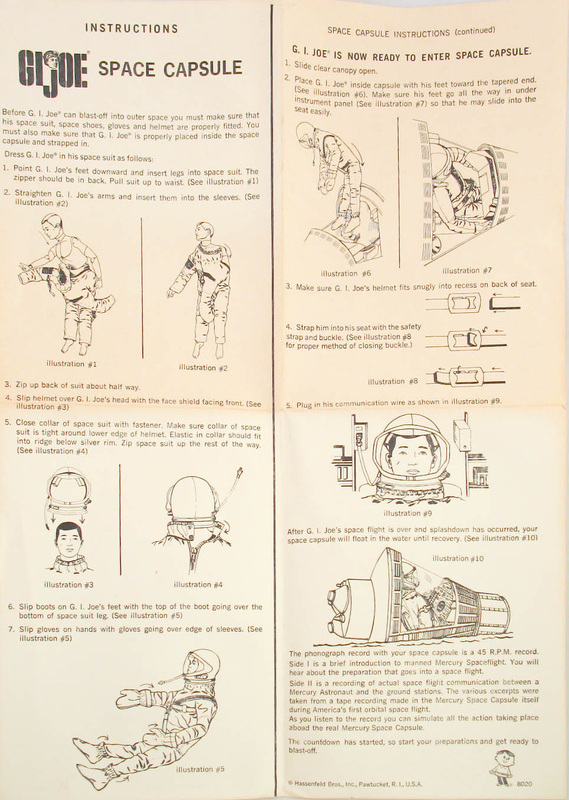 The art for the 1968 Air Sea Rescue photo box shows a real-life picture of rescue divers surrounding a Mercury capsule supported by a similar collar. 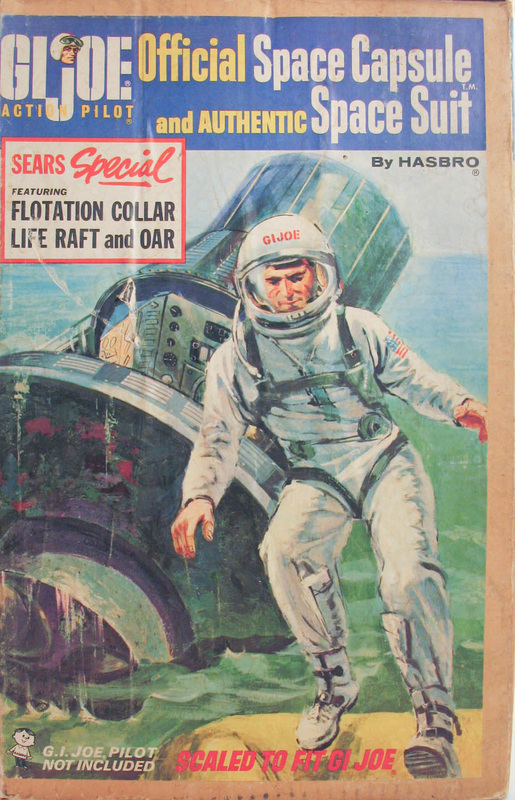 The box art litho (above)was almost the same as the standard version, but it replaces the 45 rpm record image with the Sears Special logo, and changes the contents panel to reflect the additions to the set. The printed back panel adds the raft and collar to the art. Most Sears boxes just have this simple one-color printed image, the color litho above is less common. 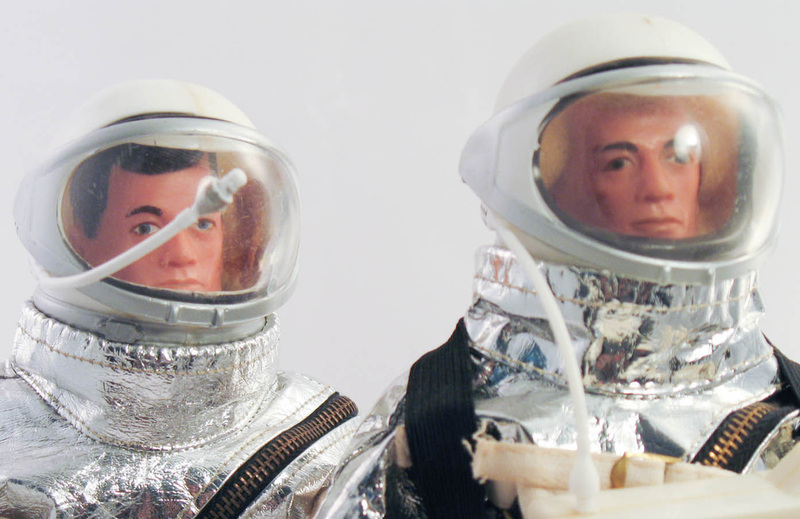 The 1966 version of the set had a silver detail on the tip on the helmet's cable (below left). 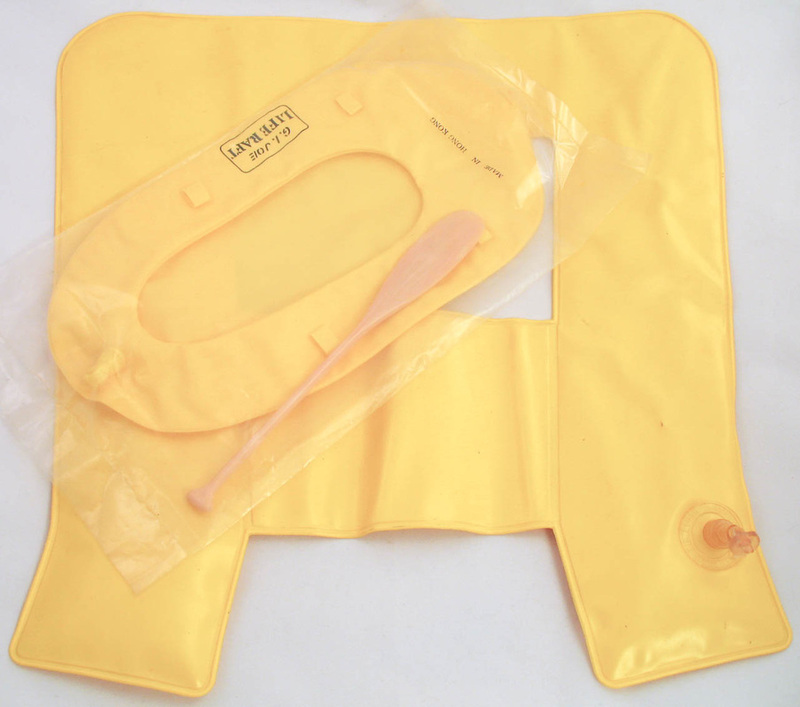 Below, the flotation collar uninflated along with a sealed example of the raft and paddle that were included in the box. Air Sea Rescue arrives to help the Astronaut from the capsule. Another successful mission!